The PQ’s Bill 14, a proposed intensified language law, is now fodder for the paper shredder. 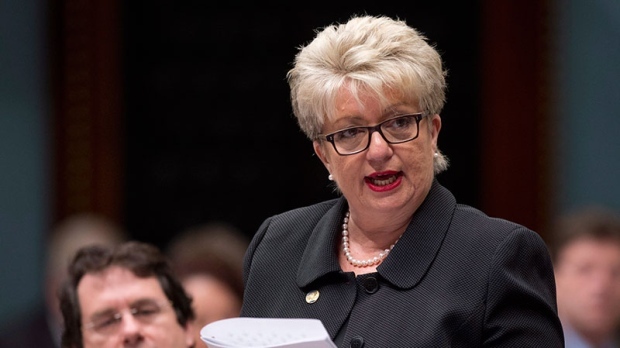 PQ cabinet minister Diane De Courcy, who was steering the dossier, conceded Thursday that there would be no further attempt to advance the project, considering that their minority government failed to get sufficient opposition support for the legislation. The PQ had been negotiating with the opposition CAQ in an effort to get the votes required, but those discussions, which had been dragging since September, failed. De Courcy said that in spite of several concessions offered by the government to mollify the CAQ, three areas of contention remained as obstacles. Those issues centred around the bilingual status of municipalities, language in the workplace and issues relating to English-language CEGEPs. The CAQ did not support the PQs initiative to revoke the bilingual status of municipalities with fewer than 50 percent English-speaking residents. They also wanted to prevent the extension of Bill 101 to smaller businesses with 26 to 49 employees. The CAQ also opposed limiting francophones from attending English CEGEPs. De Courcy lamented the failure Thursday, blaming the CAQ approach on partisan politics. “What I see is that the status quo appears comfortable to them because after all of our concessions weren’t enough,” she said. CAQ MNA Nathalie Roy said that the PQ was premature in abandoning the legislation and that there were only five of 94 clauses that remained in dispute.